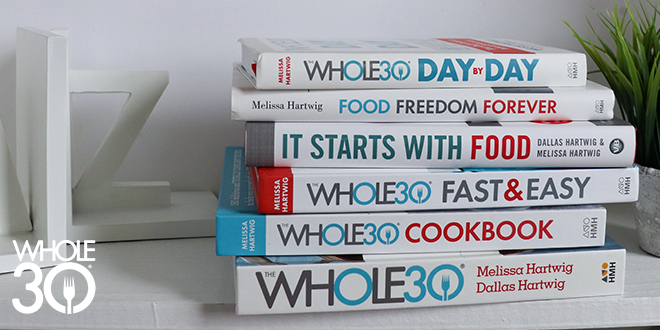 If you’re new to our Whole30 community, you might be wondering … Where should I start? First, the entirety of the Whole30 program and additional resources are available for free on our website. That’s right—you don’t need to buy anything to change your health, habits, and relationship with food. 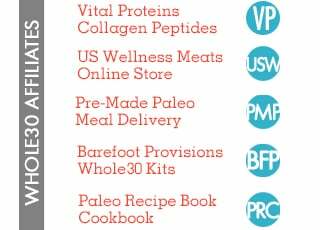 Visit whole30.com/new to get started, using our program rules, PDF downloads, blog, and forum to guide you. However, most people find they like having key resources all in one place. 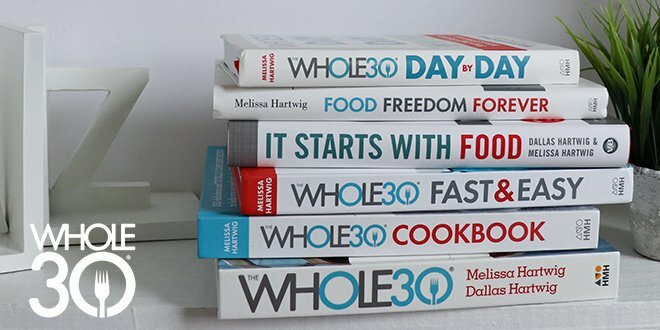 Our books offer a cohesive step-by-step approach to getting started, tips for maximizing Whole30 success, recipes to keep you well-fed, and guidance into turning your Whole30 into a lifetime of food freedom, all in one place.  Where you start is totally up to you, but here’s how I’D tell you to do it. If you’re the kind of person who needs to know WHY you’re doing what you’re doing, then you must start with It Starts With Food. 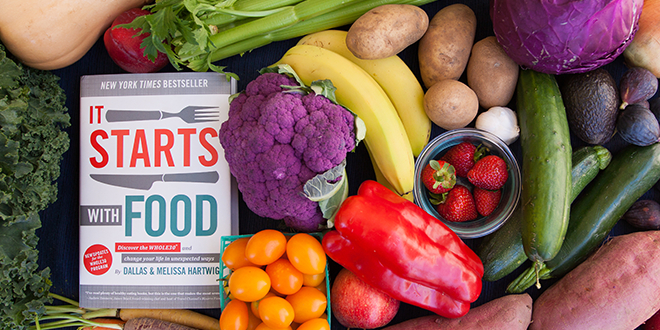 This book outlines all the science-y reasons the Whole30 eliminates certain foods, and the health benefits of those we’re eating. 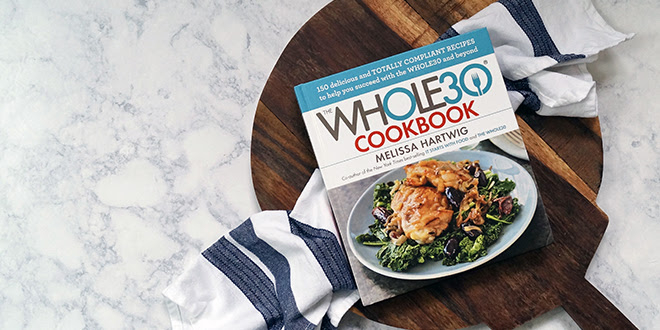 There’s some information on the Whole30 program and some recipes at the end, but this book was designed to help you get invested in the program, and understand how it works from the inside-out. Shortcut: This book was published in 2012, so the Whole30 sections are slightly outdated. Feel free to read up or listen to the science (through Chapter 15), then jump straight into The Whole30 for the practical application. If you just want ACTION! If you just want to DO THE DARN THING, and don’t need the science details, then start with The Whole30. Vegan Detour: If you want to apply the Whole30 principles to your strict VEGAN lifestyle, this book isn’t going to help as much as Food Freedom Forever, where I outline a full vegan reset. If you’re vegetarian/pescetarian (will eat eggs and fish), stick with The Whole30 and read the special chapter just for you (page 120). This book gives you everything you need to actually DO the program, exactly as written. Ev-er-y-thing. The program rules. How to prepare. What to expect during your 30 days. An extensive FAQ. Getting through trouble spots. How to cook. 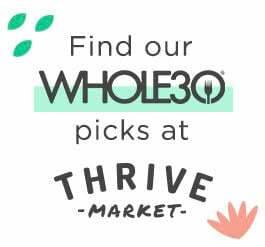 (Yeah, we teach you how to cook—boiling eggs, grilling chicken and salmon, making the perfect burger, homemade mayo…) AND there’s 100 delicious Whole30-compliant recipes using ingredients found in any normal grocery store. Except The Whole30 has a brand new buddy, and it’s going to take your Whole30 next-level. My newest book is Whole30 Day by Day. 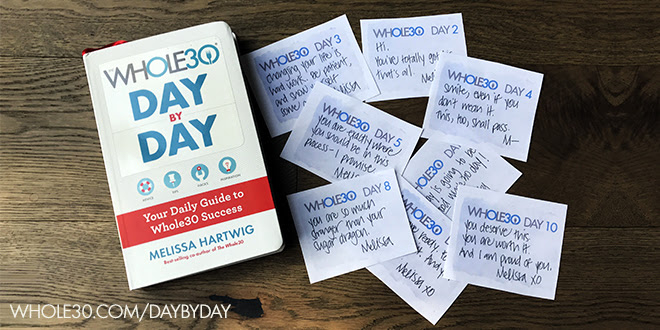 Consider it the companion guide to The Whole30: part field manual, part guided reflection, this softcover journal-style book is designed to help you stay connected to the process every day of the program with motivation, support, and resources specific to whatever day you are on. It’s like having me as your personal Whole30 coach as you walk through the Whole30 one day at a time, sharing a day-by-day timeline, personal motivation, community inspiration, habit hacks, and meal tips; plus guidance for self-reflection, food journaling, and tracking your non-scale victories. But before you’re done with all 30 days… you might want a sneak-peek of what’s ahead. If this is your first Whole30, you probably want to know what “life after” is going to look like, and how you can maintain your new, healthy habits; reduced cravings; improved energy; and smaller waistline. Or maybe you’ve done the Whole30 before, but struggled to create a healthy balance outside of the program rules. 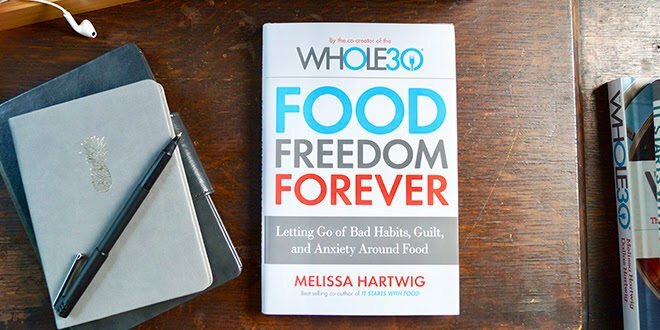 In both instances, reading Food Freedom Forever during your Whole30 will help you do just that. Food Freedom Forever outlines my 3-step plan for discovering and sustaining your version of food freedom, including in-the-moment and long-term success strategies. (And a variety of reset options offered, if a strict Whole30 isn’t right for your context. )There’s also a special section on how to talk to friends and family about your new, healthy habits in a way that brings you closer together and keeps you feeling supported on the journey. My three cookbooks are designed to keep you well-fed and happy through your Whole30 journey and beyond—and each contain nearly 150 unique recipes (no repeats). These aren’t great places to start, as information on doing the Whole30 is very limited, but they’re great accessories. 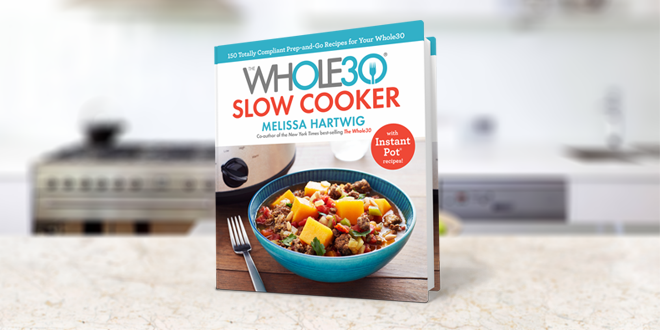 The Whole30 Slow Cooker (coming October 23, 2018): 150 ALL NEW #Whole30 recipes to make in your slow cooker and Instant Pot. Delicious no-fuss dinners that cook while you work; roasts that transform into tacos, salads, and soups for easy meals throughout the week; and satisfying one-pot dishes that make prep and clean-up a breeze. 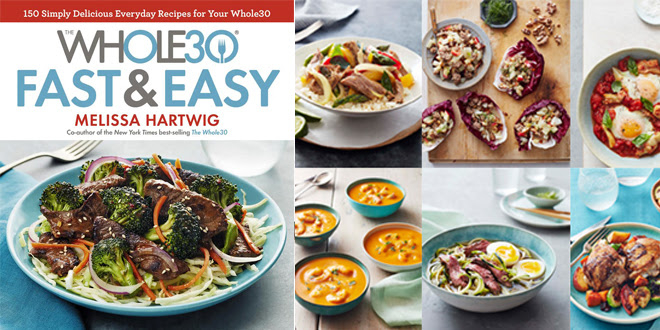 The Whole30 Fast and Easy Cookbook: 150 ALL NEW #Whole30 recipes with little hands-on time, quick prep time, or no cooking time at all. These are skillet meals, stir-fries, sheet-pan suppers, and slow-cook and no-cook meals, most of which can be made in 30 minutes or less using ingredients found in any supermarket. 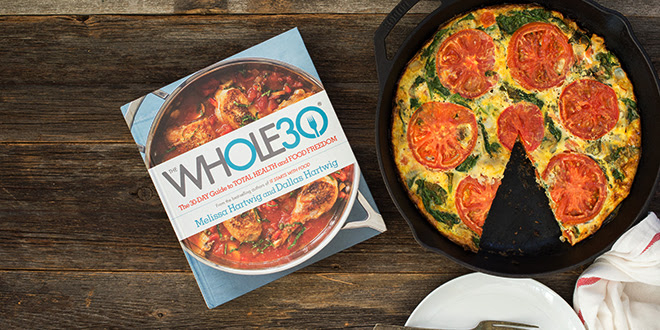 The Whole30 Cookbook: 150 tasty dishes that will let you kick your heels up with new ingredients and take your kitchen confidence out for a spin using interesting cooking techniques, kitchen tools, and preparations. These recipes are a level up from The Whole30, but still simple enough for novice at-home chefs to whip up delicious Whole30 meals. And with that, we hope you’ve got all your ducks in a row (and books on a shelf) to help you plan, prepare, and succeed with your Whole30. For more resources, visit whole30.com/pdf-resources, and check out our Whole30 101 blog post series.